Item Number: 66-8-65 18265 Actual Weight: 1.5 lbs. Ambidextrous design with rolled cuffs for easy-on, easy-off wear. 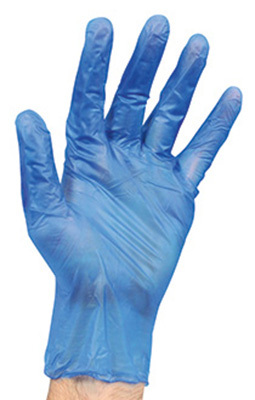 Powder-free style reduces chance of allergic reaction associated with powdered gloves. Latex free. Meets FDA and USDA specifications for food contact.